A 38-year-old man presented with acute respiratory failure and pneumonia associated with a Chikungunya virus infection. He was intubated and evolved with a resolution of the infection, being extubated after passing a spontaneous breathing trial. It also had a MIP: -40cmH2O and a MEP: +10cmH2O. The chest x-ray was normal at the time. 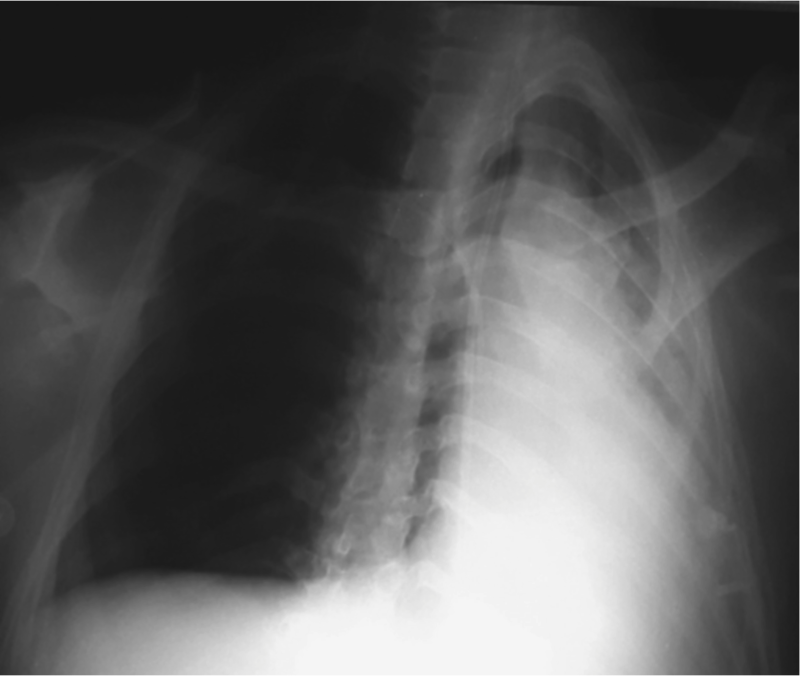 What are the findings of the chest x-ray? What is the most likely explanation for this complication? What would be your diagnostic or therapeutic indications?